Willie Wildlife Sculptures are perfectly suited for public places because of bronze’s amazing qualities that are outlined on the Why Aussie Bronze? page. Ideal public places for bronze sculptures include children’s play areas, public parks and botanical gardens, streetscapes, corporate and government offices and residences, wineries, horse studs, memorial gardens, schools, airports, health retreats, golf courses, retirement villages, hotels and restaurants. Wherever a sculpture is placed it has the ability to completely transform the atmosphere of that place. 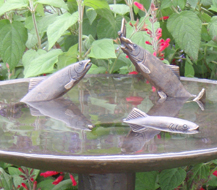 Willie Wildlife Sculptures have universal appeal. Willie Wildlife Sculptures are listed in the Outdoor Design Source Handbook – The Essential Directory for Specifiers of External Works – for Architects, Designers & Councils both in Australia and overseas. 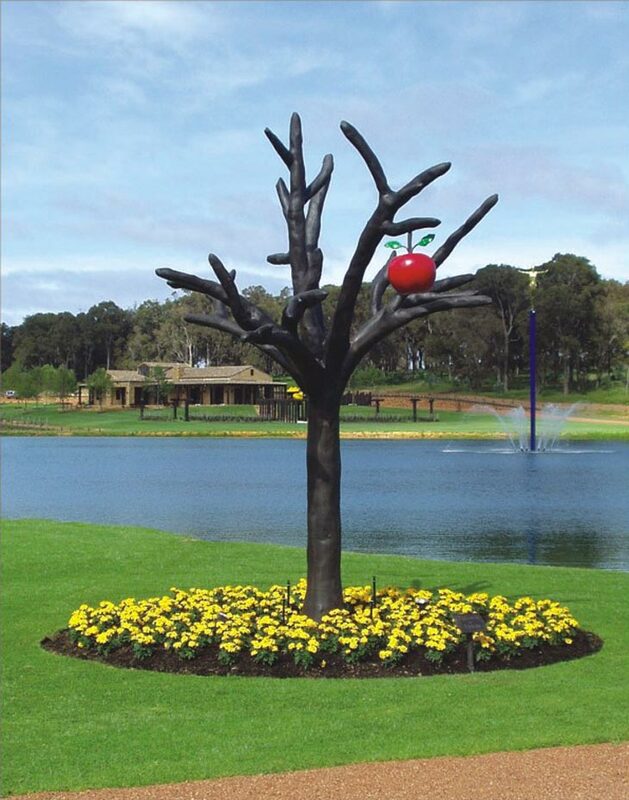 The “Garden of Eden” tree sculpture was commissioned by Diane Laurance and is located at Robert Oatley Vineyard in Margaret River, Western Australia. The tree is a semi-abstract design with one big, red apple to draw the eye. The sculpture is 4.5metres high and is positioned at the main entrance to the Cellar Door on Caves Road. This is arguably one of the best and most interesting wineries around and a visit is highly recommended.